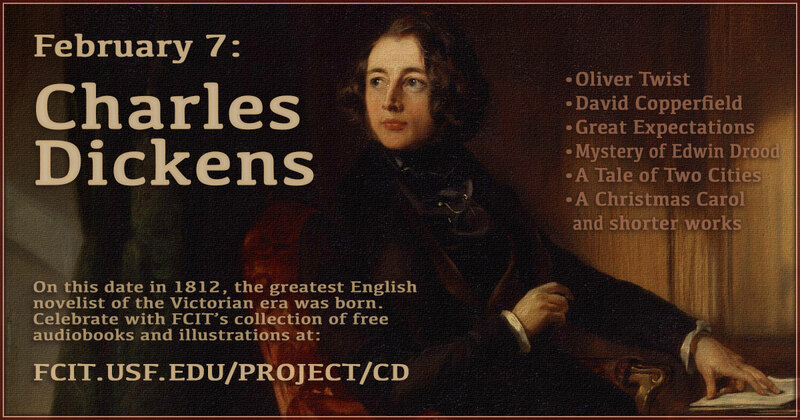 On this date in 1812, the English novelist Charles Dickens was born. Considered one of the English language’s greatest writers, he was deeply concerned about social issues and these are major themes in his works. Enjoy our collection of his most famous works. 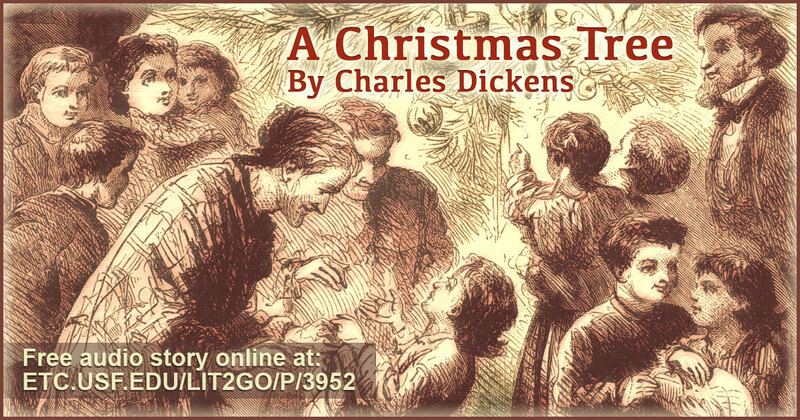 Use this banner on social media to share our Charles Dickens teaching collection. 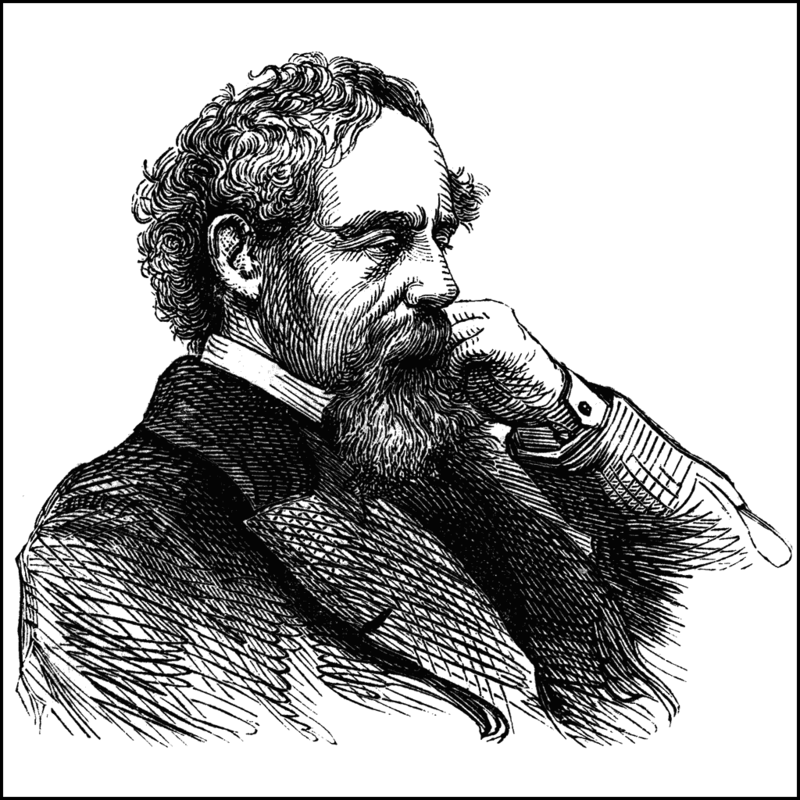 Charles Dickens portrait from the ClipArt ETC website. 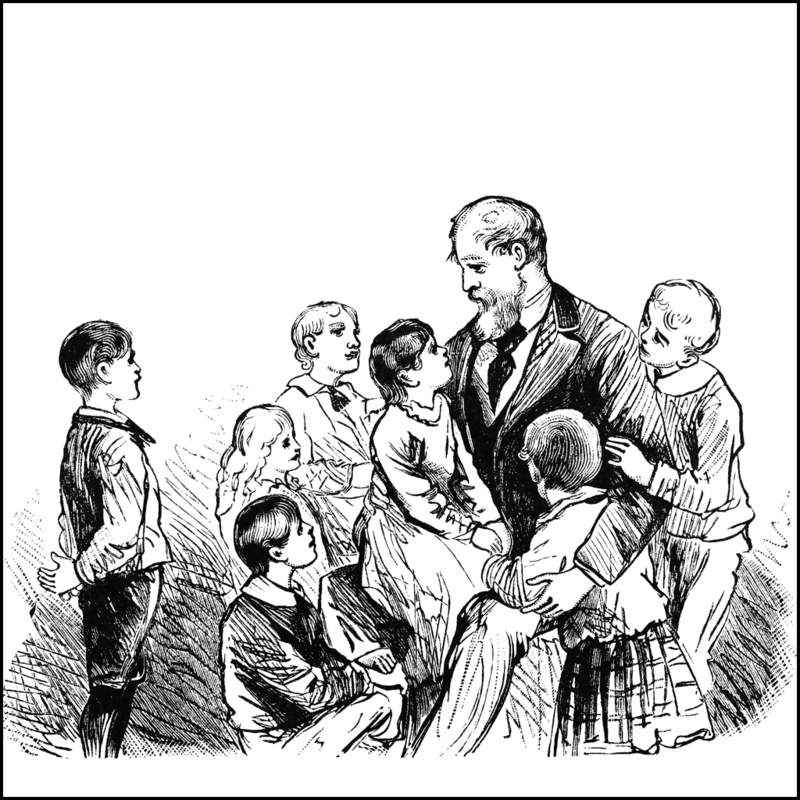 Charles Dickens and children from the ClipArt ETC website. 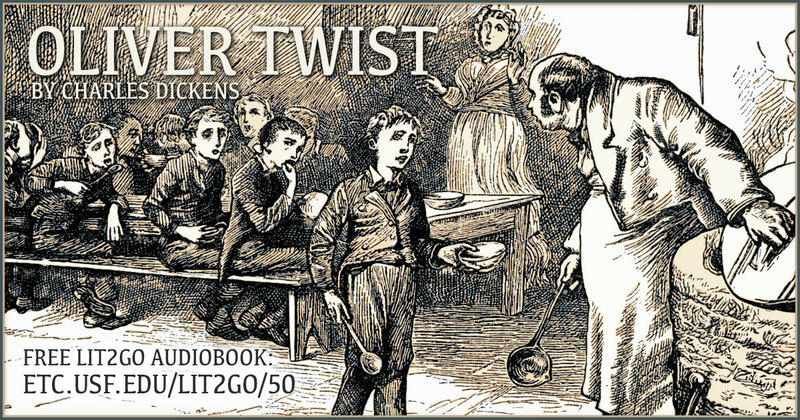 Oliver Twist audiobook from the Lit2Go website. Oliver Twist is Charles Dickens’ second novel. It is about a boy named Oliver Twist, who escapes from a workhouse and meets a gang of pickpockets in London. The novel is one of Dickens’s most well-known works, and has been the subject of numerous film and television adaptations. Reading level: 8.1. Word count: 171,479. 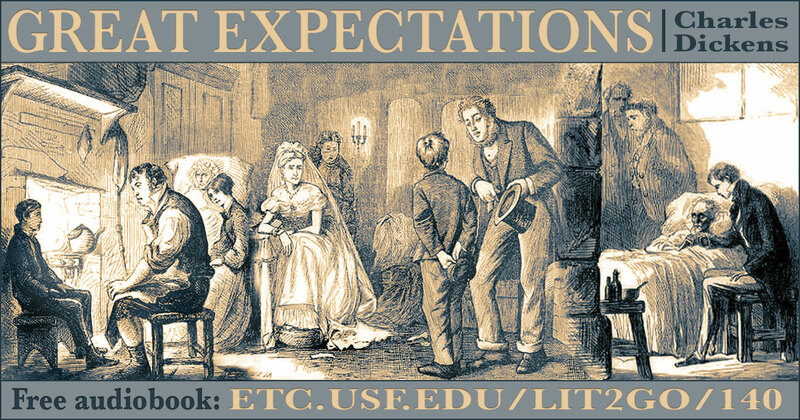 Great Expectations audiobook from the Lit2Go website. Great Expectations follows Pip’s life expectations as he attempts to fit in with upper class society, while pining for the affection of Estella. Reading level: 8.2. Word count: 199,016. 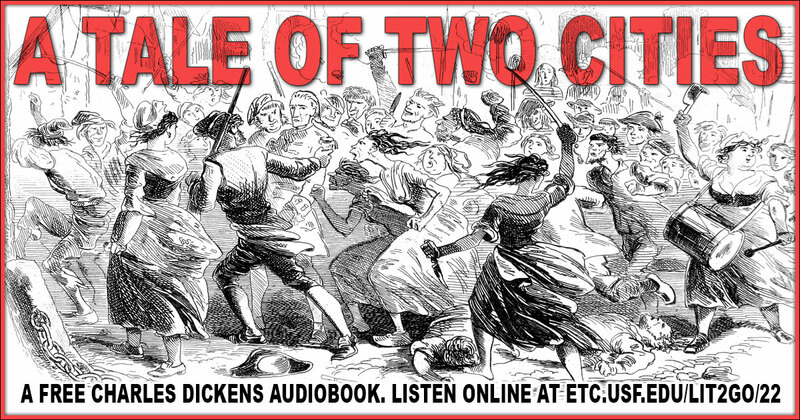 A Tale of Two Cities audiobook from the Lit2Go website. The plot centers on the years leading up to the French Revolution and culminates in the Jacobin Reign of Terror. It tells the story of two men, Charles Darnay and Sydney Carton, who look similar but are very different in personality. Darnay is a romantic French aristocrat, while Carton is a cynical English barrister. However, the two are in love with the same woman, Lucie Manette. Reading level: 9.5. Word count: 144,575. 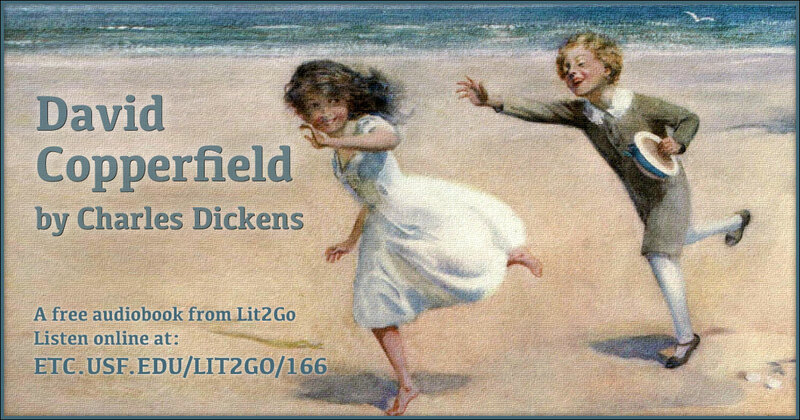 David Copperfield audiobook from the Lit2Go website. David Copperfield is a novel by Charles Dickens. 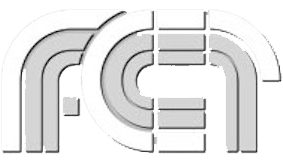 Like most of his works, it originally appeared in serial form a year earlier. Many elements within the novel follow events in Dickens’ own life, and it is probably the most autobiographical of all of his novels. Reading level: 7.5. Word count: 368,017. 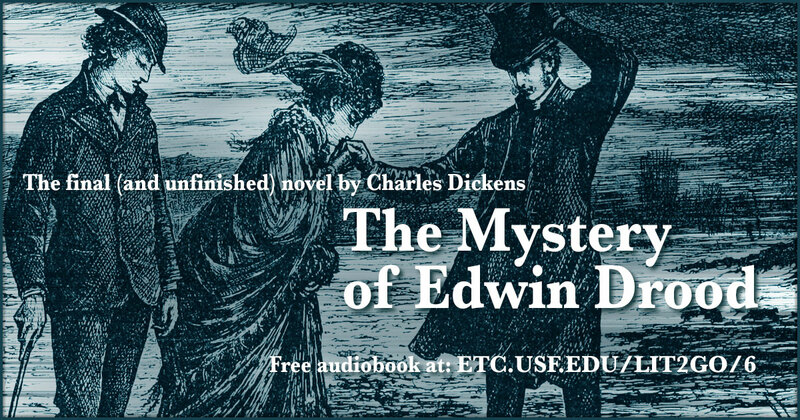 The Mystery of Edwin Drood audiobook from the Lit2Go website. Dickens’s final novel was left unfinished before his death in 1871. Edwin Drood’s uncle, John Jasper, a choirmaster, is in love with his pupil and Drood’s fiancee Rosa Bud. She has also caught the eye of high-spirited and ill-tempered Neville Landless (who came from Ceylon with his twin sister Helena). When Drood is murdered, the killer must be found…that is if Drood is really dead. Reading level: 8.0. Word count: 106,149. 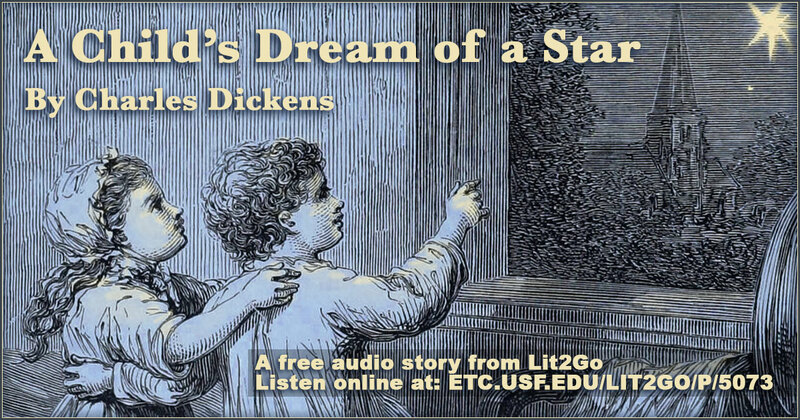 A Child’s Dream of a Star audio story from the Lit2Go website. This short story recounts one man’s long wait to be reunited with his sister and other departed family members. Reading level: 5.3. Word count: 1,293. A Christmas Tree audiobook from the Lit2Go website. The author shares some of his Christmas experiences and memories regarding the meaning of the Christmas tree. Reading level: 8.0. Word count: 7,354. 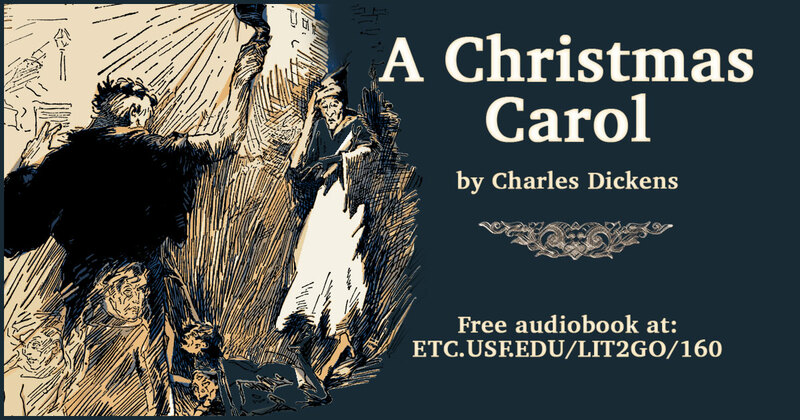 A Christmas Carol audiobook from the Lit2Go website. A Christmas Carol is a Victorian morality tale that focuses on the life of the main character, Ebenezer Scrooge. First published by Charles Dickens in 1843 as a means to relieve personal debts, A Christmas Carol has become one of the most enduring Christmas stories of all time. Reading level: 6.7. Word count: 30,762. 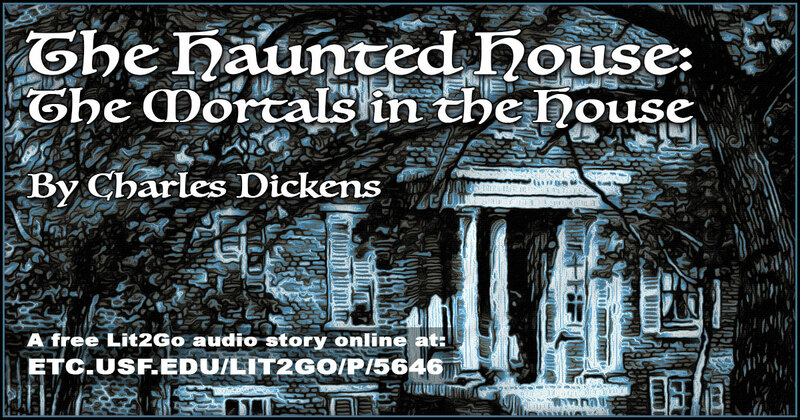 The Haunted House: The Mortal in the House audiobook from the Lit2Go website. The narrator tells of how he came to live in the house. Servants believe in the haunting, and this leads to troubles, so the narrator and his sister decide to change their plans. Reading level: 9.2. Word count: 7,4094. 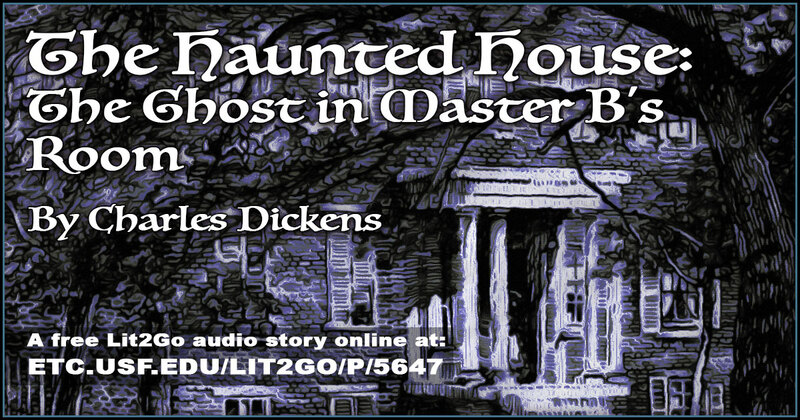 The Haunted House: The Ghost in Master B’s Room audiobook from the Lit2Go website. The narrator tells of his growing fascination with Master B, as well as the series of events following the appearance of the ghost. Reading level: 9.2. Word count: 4,401. 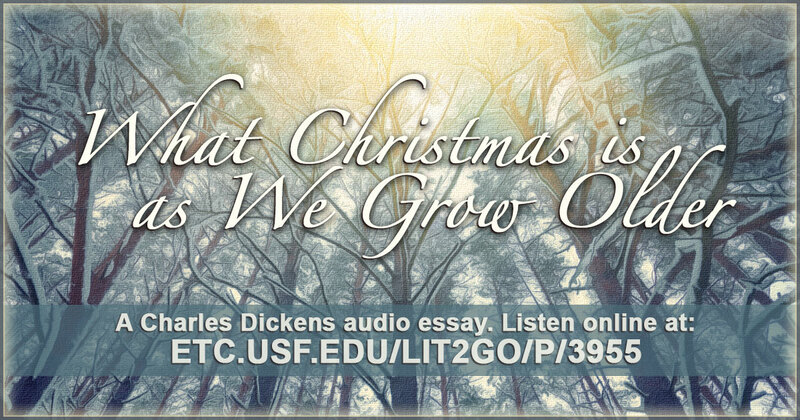 Christmas Is As We Grow Older audiobook from the Lit2Go website. The speaker compares the feelings and hopes of youth at Christmastime with the changes that occur with age. Reading level: 8.0. Word count: 1,801. 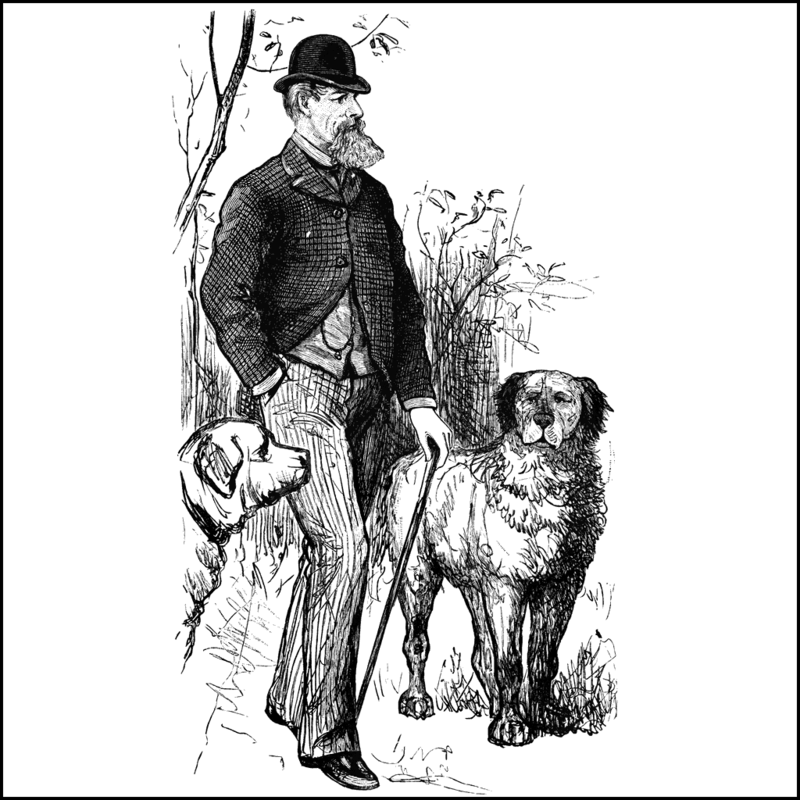 In illustration of Charles Dickens walking with his dogs from the ClipArt ETC website. 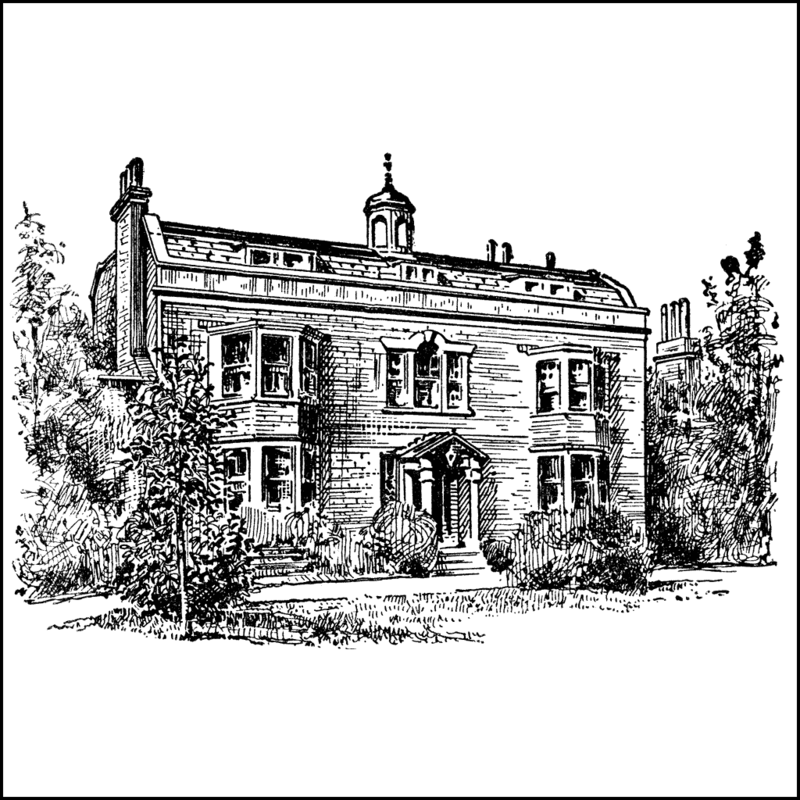 Dickens’ country home from the ClipArt ETC website. Dickens first saw this house when he was nine years old and finally was able to purchase it 35 years later. The home is variously known as Gad’s Hill, Gads Hill, and Gadshill.